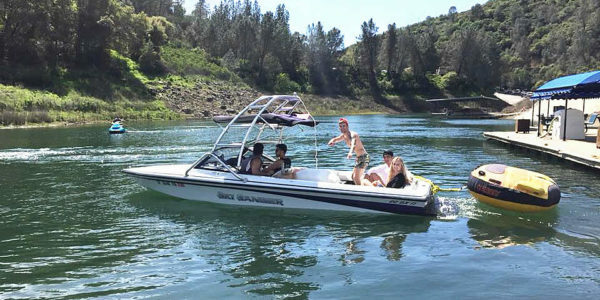 What's cooler than wakeboarding, wakesurfing or waterskiing and hanging out on the cleanest, biggest lake near San Francisco, Sacramento and the bay area!? Not much on a hot summer day! Have the time of your life creating some of the best memories with your family and friends. 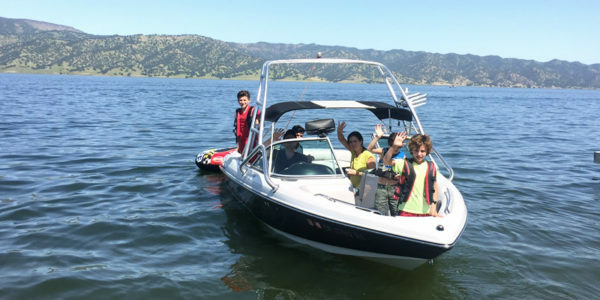 Hands down our boat rentals on Lake Berryessa are the best on the lake and we think all over California. 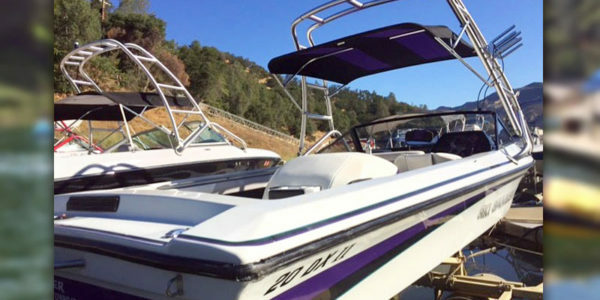 Our wakeboard boats and ski boats have towers that put the tow rope 10 feet above the water. If you’re a beginner, this makes it a lot easier to get up and out of the water. 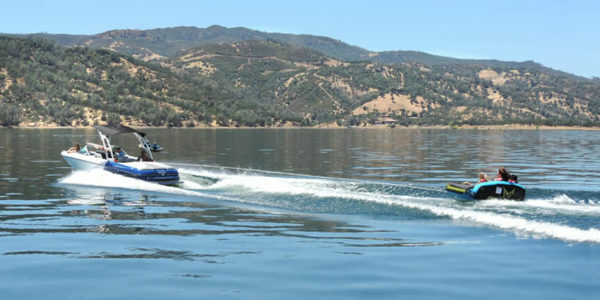 These power boats have 350 to 400 horsepower engines that allow the driver to hit the throttle and easily pull up any size wakeboarder or water skier. Thanks to all that power the boat levels out quickly so the driver can see. Let the fun begin! 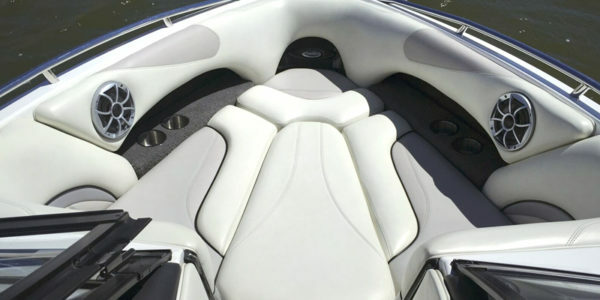 All of our wakeboard boats have luxurious wrap around seating. 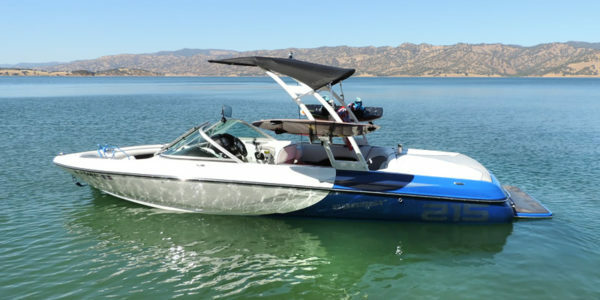 The New Sanger V-215 open bow Wake Series Wakeboard/Surf boat puts out a huge wake for wakeboarding and surfing. 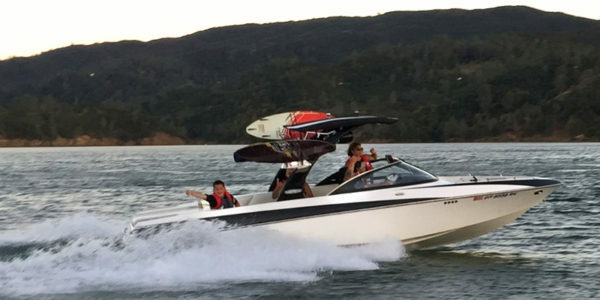 With its 400 HP Indmar engine and its state-of-the-art reversed tower, it can pull up any size wakeboarder or surfer with ease. With its high-tech electronic speed control, you can set your desired speed for wakeboarding and surfing. 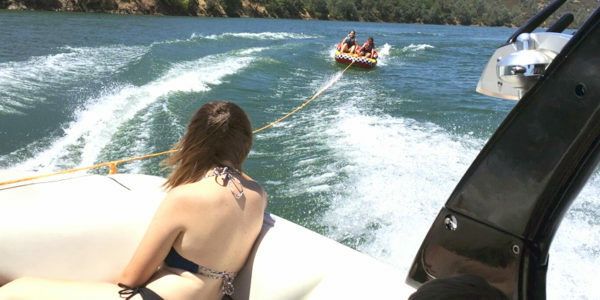 Drain the 800 pound triple ballast tanks and it is great for skiing, knee boarding and tubing. It also has a great sound system to listen to your favorite songs! It has incredible style and comfort with spacious wrap around lounge seating, lots of room to walk around and plenty of storage. There is a large pad in the back for lying out in the sun and getting that perfect tan! Call us if you have any questions or to make a reservation with one of our friendly staff members: 707-966-4205. 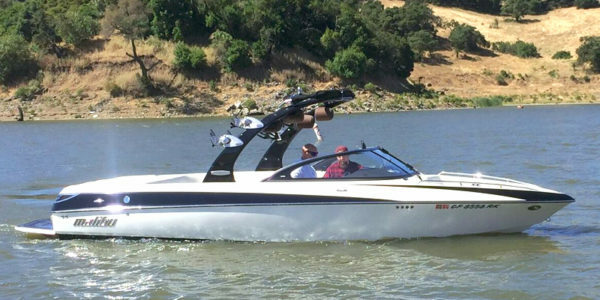 The Sanger V215 open bow wake board/ ski boat is the boat that the pros use. 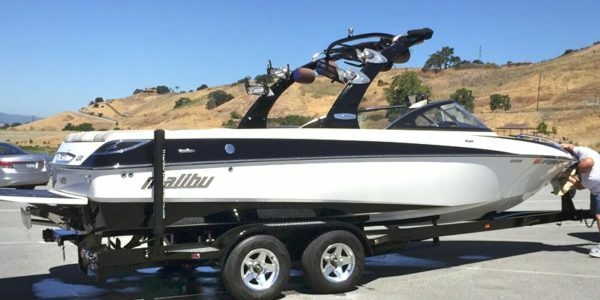 With its 340 HP Mercury Black Scorpion engine, you will have plenty of power to pull up any beginner or advanced wakeboarder or water skier. 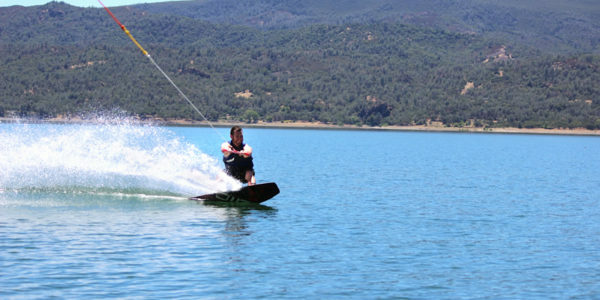 Fill its center ballast and wakeboarders can get big air jumping off its smooth wake. 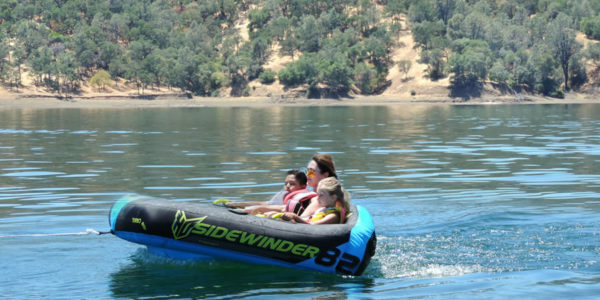 It’s a real thrill for tubing, yet the wakes are soft enough to be worthy of beginners to the most advanced water skiers. With spacious wrap around lounge seating, lots of room to walk around and plenty of storage. Like the Blue V215 above it has a large pad in the back for lying out in the sun and getting that perfect tan! 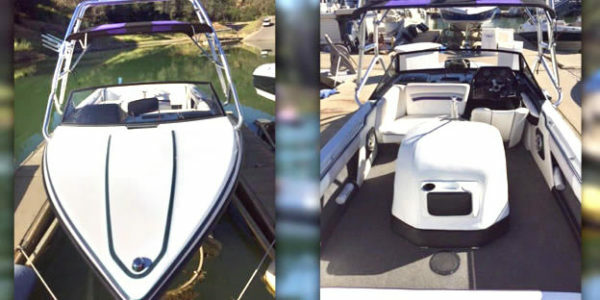 Features: 7 - 8 passengers, depending on weight – open bow- bimini top for shade - stereo with an iPod auxiliary input & USB – pro flight tower for wakeboarding - 340 HP black scorpion engine - 22 feet long – single ballast – perfect pass speed control - wakeboard racks. 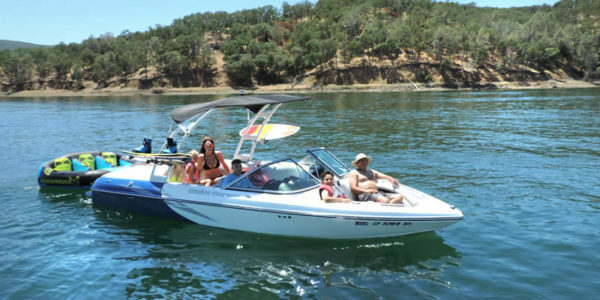 The 23 foot Malibu Wakesetter LSV open bow has plenty of room for up to 10-12 passengers or 14 with 4 kids under 60 lbs. With its 2000 watt 13 speaker $10,000. 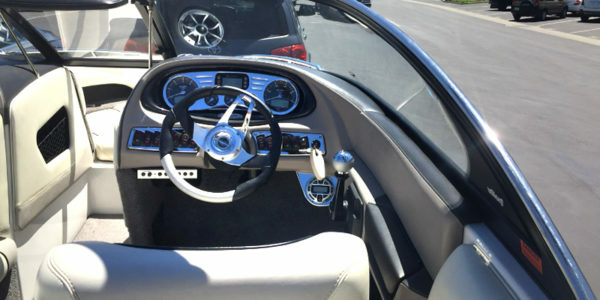 00 stereo system, you can listen to your favorite songs while wakeboarding and surfing. This boat puts out a huge wake with its 1500 LBS of ballast, power wedge and its 450 HP Indmar engine! Get the same air as the pros do! 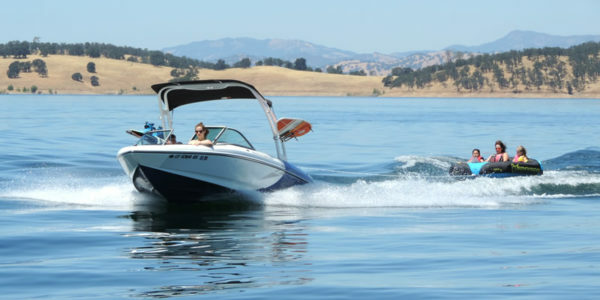 Add the wake gate to one side of the boat for the perfect wake surfing wave. This new and upcoming sport is safe and fun for your family and friends since it’s done at speeds as low as 8 to 10 mph. By reducing your ballast it will be great for beginners and intermediates. 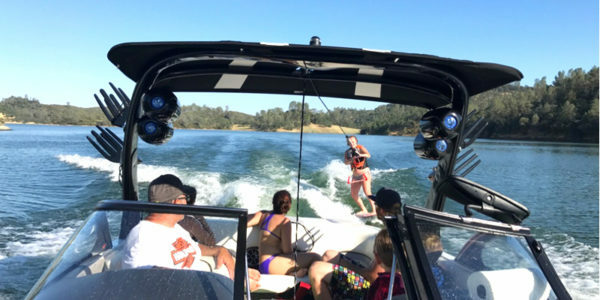 Once you’re done wake surfing and wakeboarding just drain the ballast system and have the time of your life water skiing, knee boarding and tubing. 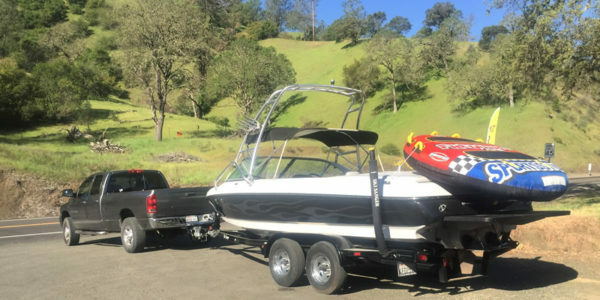 We recommend this boat for our return wakeboarding and surfing customers. . 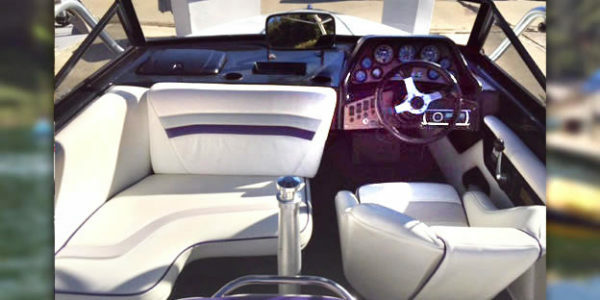 Features: 10-14 Passengers Depending on Weight – open bow- large bimini top for shade - 2000 watt stereo system with bluetooth & auxiliary - massive wakeboard tower with four 8” tower speakers - 450 HP engine - perfect pass - triple ballast – 23 feet long - power wedge & wake gate - 12 volt charging units - wrap around lounge seating - tons of storage – swivel surfboard / wakeboard racks. The 20 foot Sanger DXII closed bow is a perfect direct drive boat for smaller groups beginners to intermediate. 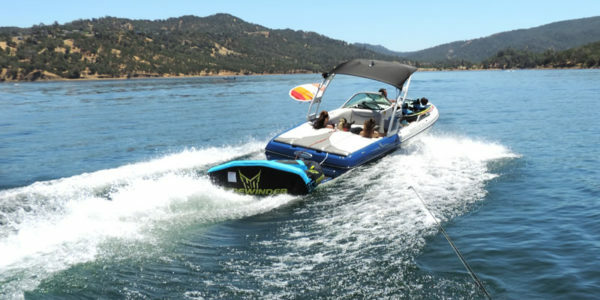 Its great for water skiing, wake boarding, knee boarding and tubing. It puts out a smaller wake than the other boats, making it less intimidating for beginner water skiers. With its pro flight tower and its perfectly shaped wake giving you more air than you would expect, its great for beginner and intermediate wakeboarders. With its 340 HP Mercury Black Scorpion engine, It has incredible acceleration and unsurpassed throttle response and steering. The DXll is a tournament water skiers dream! According to Water Ski Magazine the water skier is blessed with a world class slalom wake. It has a great stereo with an iPod auxiliary input & USB so can listen to all of your favorite music! 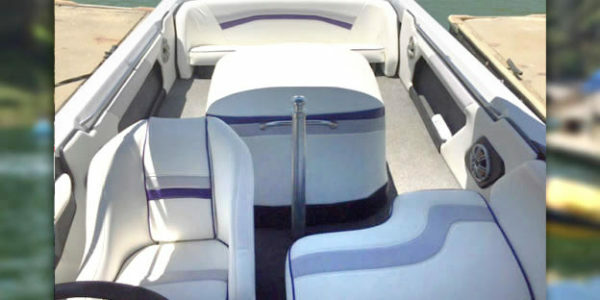 It has a over sized bimini top for plenty of shade. 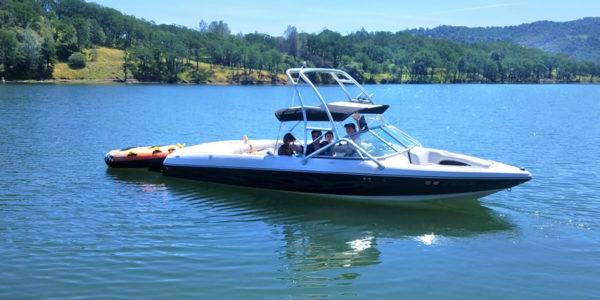 Featurs: 5 - 7 passengers, depending on weight (6 adults or 7 people with 3 children under 60 lbs) – closed bow- bimini top for shade – pro flight tower for wakeboarding - 340 HP engine - 20 feet long - stereo with an iPod auxiliary input & USB.